By some estimates, word of mouth marketing drives $6 trillion in consumer spending each year. What does that mean for you, as a brand? The average consumer doesn't trust brands, they trust their friends, their families, and sometimes even strangers on the internet. In the past, success in marketing was all about how much money a brand could pay for ads on radio, television, and in magazines. If you could afford a huge ad campaign, it wasn't hard to make a solid profit. Today, digital devices and social media have drastically transformed how brands interact with prospective customers. One of the most powerful changes has been the rise of social currency. Word of mouth marketing and social currency is a way to leverage the way people interact on social media to grow your brand. Social currency is the extent to which people share the brand or information about the brand as part of their everyday social lives at work or at home. More simply, social currency is a measurement of how people talk about a brand organically, in everyday conversations. Think, for example, about the last time you had a great meal. Did you tell people about it? Share it on Facebook? Tell your best friend about it? That is social currency. For brands, that type of authentic interaction is priceless. We have already talked about how employees can help build a brand's social currency, but social currency also helps increase brand value. There is a catch, though; social currency is inherently authentic. Social currency evolves through everyday experiences - a surprisingly good cup of coffee, a shockingly slim wallet, a great customers service experience. However, that reliance on authentic interactions does not mean there's nothing marketers can do to help drive social currency. The following strategies will help your brand leverage social currency in marketing. Stop talking at your customers. Instead, create conversations. Ask questions, answer questions, even engage in a little bit of social media banter. These examples of brands engaging in some good-spiriting ribbing on Twitter are a great example of brands creating social currency opportunities. As our world becomes more digital, people crave a sense of community. Creating that community around your brand helps satisfy that innate desire while increasing your brand's social currency. The success of community creation will be heavily influenced by the participation of your employees. Making sure your company culture is supportive and promotes innovation is a key to creating an engaged community. An advocate is a person who authentically promotes your brand, generally for free. Advocacy can be sharing a referral code for a great new product you tried. Advocacy can also be your when your neighbor suggests a great Thai restaurant in the neighborhood in your local Facebook group. How do you promote authentic advocacy? Encourage peer-to-peer advocacy: The produce delivery company Imperfect Produce offers a "Give $10, Get $10" advocacy program. Paired with down to earth copy and simple images, this program has been quite successful. Help Your Employees Engage in Social Media: Customers aren't your only options for advocates. 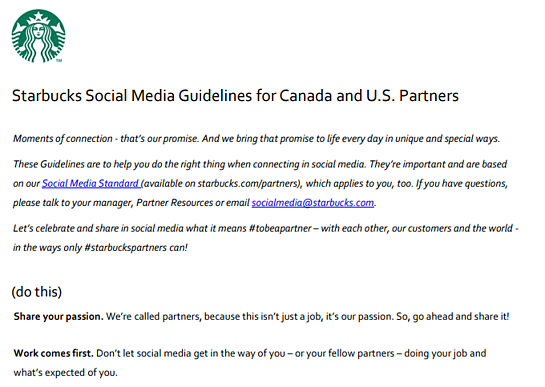 Starbucks, for example, encourages their employees (called 'partners') to engage in social media and even created a guide to help encourage the practice. It is tempting to assume social currency is just another marketing buzz word that will quickly be forgotten when the next shiny strategy comes along. In reality, social currency is simply a different way of looking at the way you interact with your customers online. 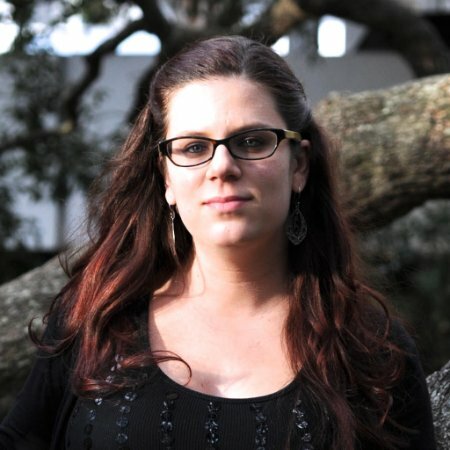 A successful use of social currency relies on being authentic, relatable, and human.